Sit me up seats are a good choice for parents who would like to help their baby to sit up and play whilst also giving themselves a well-deserved break. Most sit me up seats come with fun toys or accessories attached, which include trays that can be used by the baby to eat food from and they can range from being quite sturdy to being bouncy and purely for fun! There are really plenty of sit me up seats available on the market today and it’s not always easy to choose which is the best to buy for you and for your child. You might also want to consider the actual style of the seat, as some may prefer a more cute appeal; others may prefer something minimalistic. Finding a reliable review or source of information on the newest sit me up seats on the market isn’t common either and so this guide aims to provide you with a good overview and some advise when considering purchasing a baby sit me up seat. The first seat featured here is super stylish I think, its quite a soft, pleasant pink color with yellow accents. The comfy material is surrounding the seat area itself whilst the base and supports are of a sturdy plastic that can be folded completely flat for easy storage which is brilliant for travel! The colors and textures of the toys that come with the seat are designed to stimulate the child’s senses and reinforce their motor skill development. This seat is compact with dimensions at 21 x 6.2 x 16 inches, its low to the floor giving your child plenty of support and allowing them to sit up and interact with the world around them. This seat weighs 5.3 pounds, which is about average size for this type of seat and I didn’t find it a burden to carry at all and so alongside its foldability, this style seat design has got to be the most portable of those I am reviewing and would be a great choice for the parent who needs a sit up seat for frequent travels. If you wanted to go for a seat with more color variety, I think this Fisher-Price sit up seat add a nice splash of color whilst still not being overly bright still. This seat also includes a tray with some toys attached, there is the same version available but without the toys on the tray. The material around the seating area and the tray are easy to wipe clean materials, you can even take the seat padding off and clean it in the washing machine, so this is a simple product designed perfectly for feeding times. The toys are rotating paddles with delightful pictures of animals on them with a central plastic lion which also spins on the bar which is quite a lot of fun for a very young child. This has similar weight and dimensions to the previous seat I reviewed, and in terms of portability; this seat is pretty much the same. It has exactly the same method of collapsing the seat flat for travel and storage as the Fisher-Price seat in pink and is just as sturdy and durable which has come to be expected of this well-known brand. I personally love this seat out of the selection and simply because it is super comfortable, it has a fun design and it makes a great cushion for myself as well as a sit up seat. Aside from the fact that I can use it as a cushion, its made from a material which feels pleasant to touch, it looks nice in color and sweet with its charming art, an absolutely cushy space for a toddler to play and learn. The toys on the front of the seat can be detached for when you are storing the seat and the toys themselves match the charming art design on the seat, they are soft but not quite as fun as the toys featured in the previous two reviews. This seat is much more suited for a baby reaching about nine months and has had more experience in sitting up for themselves as this seat offers less support. However it is much lighter than the previous seats as well, weighing only 1.8 pounds, it can be placed and move around with ease and due to its soft and malleable nature, it can fit almost anywhere and is less rigid than seats with plastic supports. Before cutting to the chase with some product reviews, it’s a good idea to have a chance at answering some questions surrounding your choice of baby sit me up seat. As I’m sure you would be wondering what benefits they have for your child and if there are any common safety concerns. Why a Baby Sit Me Up Seat? They’re so handy for times when you would like to get on with some work, they’re extremely useful for outings and travel and they are fantastic when you just want to put your feet up. 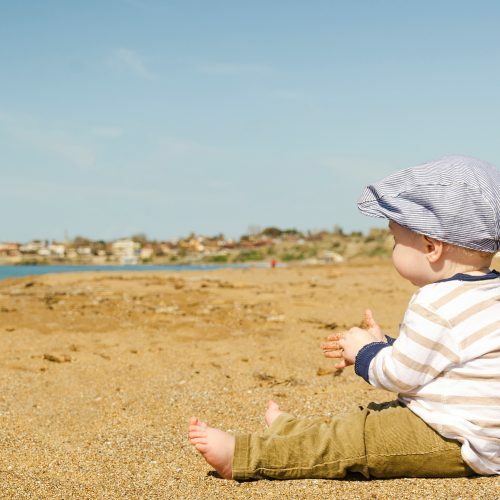 No longer will you just have to be on high alert when the baby is free to roam at times that you would rather them not be and this is important when it concerns their safety. Generally, the seats are fairly compact, rarely taking up a lot of space but some options are bulkier than others, it’s quite good to be aware of the floor space you wish to conserve with the seat as well as your need for portability and practicality. The toys and designs can entertain your child for long durations, giving you the peace of mind that they do not feel restrained whilst in the sit me up seat but they are also having a good time and are comfortable. As I mentioned previously, the tray attachments are practical ways of helping your baby to eat at a table and introduce the benefits of doing so as well as reducing the mess. It’s also beneficial for a child so young to have support when developing strength and mobility, allowing the baby to build the strength required to sit themselves up. Having the baby sit up also encourages them to observe and interact with the world around them and to the people around them which is amazing for social bonding. Branding is a good basis to go from when considering your purchase as more well-known brands are much more inclined to create better quality products which often justifies their often higher price tag but this is not always the case at all. The only safety concerns to consider is the durability of the parts and the potential of choking hazard, especially if there are smaller toy parts to the sit me up seat. It’s also advisable to appreciate the model of the seat as baby sit me up seats 2017 models are more likely to be designed in line with today’s safety standards. The sit me up seats come in different sizes and this would most commonly depend on the age of your child. The usual starting age for the seats is from 3 months old and are mostly designed for use until about 8 or 9 months old. I would also recommend you pay attention to the dimensions and weight of the product, keeping in mind the requirements that your baby will have to avoid having the wrong size and causing some discomfort. The look and practical design of the sit-up seat would be entirely dependant on your own preferences. When we’re talking about its look and feel, we’re also looking at the material its made from and its comfort in addition to how easy it is to assemble and fold when you are on the move or when it’s being packed away. The choices are also mostly bursting with color and can either sport a stylish pattern or have a fun theme such as a jungle pattern with animal friends as part of the design. Its safe to assume that you want something which either provides more entertainment for your child or looks better wherever the seat is going to be and so this guide and the reviews below will point you in the right direction when making the choice. These reviews are designed to give you an idea of the choices and selection out there and I would invite you to have a look for yourself. The need you have for the baby sit up seat ultimately will determine whether you have one which can fold and is more portable, or be slightly bigger and have more space. Including a tray is a great choice for dinner time, especially when the seat has an easy to clean material. When considering the seats having specific designs for specific situations, you may even find that its more convenient and practical to have multiple chairs, with certain chairs assigned to different activities and times. A foldable seat for the frequent travel to family/friends home could be separate to the more permanent and reliable sit up seat used at home, with toys attached to keep the little ones entertained. Hopefully, this guide has answered some of your questions and has also had some impact in helping you make a choice of sit up seat that you and your child or children will love and I am certain that you and your child will love whatever seat is the most practical and appealing to you.